My name is Cora Vroma and I have sort of a random request but I am working with the Michael W. Smith Christmas concert that is coming into Montgomery, AL on Thursday, December 9th and just wanted to see if there is anyway you would be able to help me spread the word that we need volunteers! 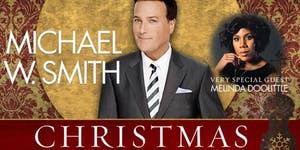 Help with Michael W. Smith’s Merchandise and attend the concert for free! Volunteer Position: Merch - Your duties include assisting customers, sales, and organizing merchandise. You will work in shifts and be able to take breaks to watch the concert. No ticket purchase required!